With growth in electricity sales disappearing and adoption of rooftop solar systems expanding, electric utilities are increasingly proposing new rate designs in order to protect and stabilize their revenues. SWEEP participates in rate cases throughout the Southwest to challenge these utility proposals, ensure that rates continue to encourage greater energy efficiency, and help protect low-income consumers. Many utilities are proposing to increase the monthly fixed charge and consequently reduce the variable "cents per kilowatt-hour" energy charge that households and small businesses pay. In the ongoing rate cases for Public Service Company of New Mexico and UNS Electric in Arizona, the utilities initially proposed to increase this fixed charge by 100% or more. Electric utilities are increasingly proposing new rate designs in order to protect and stabilize their revenues." SWEEP opposes such proposals. That’s because when utilities lower the amount they charge per kilowatt-hour, they reduce the financial incentive for consumers to save energy. In addition, increasing the monthly fixed charge disproportionately harms customers who use less energy, which tends to be low-income households in our region. In general, we take issue with proposals to expand monthly fixed charges beyond recovering costs for metering, meter reading, billing and direct customer service. Charging residential and small business customers for the peak electricity demand that they register in any particular month is another proposal that is starting to surface in our region, in particular in the UNS Electric rate case. SWEEP opposes this proposal for a number of reasons. First, households and small businesses generally don't know and are unable to control their peak demand across many hours in a month. Even if at only one time in a month a home's air conditioner is operating at the same time as the refrigerator compressor, dishwasher, hair dryer, etc., the resident will get hit with a high demand charge. And if there is an electric water heater operating as well, the charge will be even higher. There is no evidence to date suggesting that customers are able or willing to track and control the simultaneous operation of various appliances. SWEEP supports making greater use of time-of-use energy (kWh) rates for residential customers." Second, each home or small business represents a very small peak power demand on the utility system. Each home or small business will most likely register its peak demand at a different time of the day or day of the month, during the multi-hour period when the utility is experiencing its maximum demand from all customers. It is not appropriate for utilities to charge small customers for their individual peak demand. Third, we are concerned that mandatory peak demand charges will especially harm moderate and low income households that do not have many discretionary appliances that can be shut off or turned down at times of peak load on the utility system. 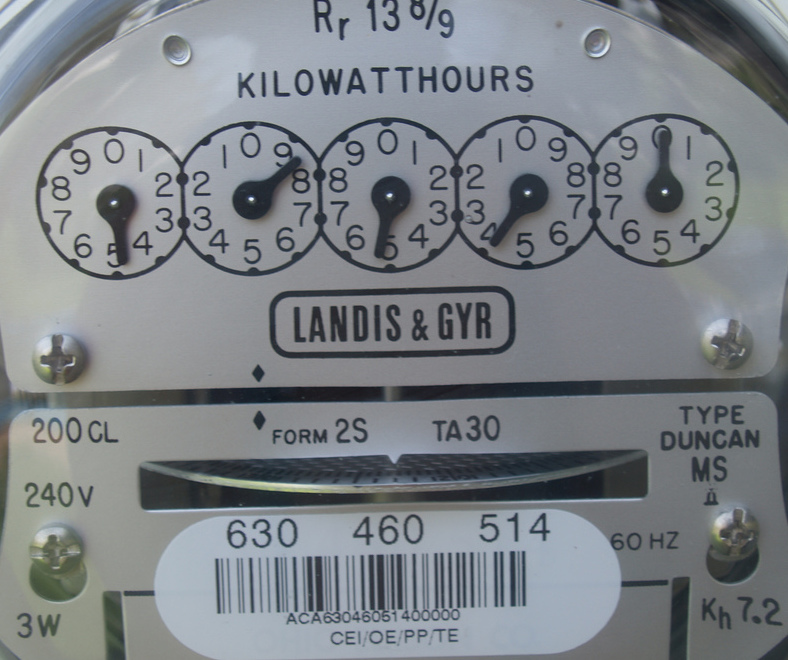 For utilities that have initiated voluntary peak demand rate options for their customers (a proposal that SWEEP does not oppose), enrollment has been low and the majority of customers enrolling are higher usage customers who likely have above-average income and the ability to respond to peak demand charges. Much more experience is needed with voluntary opt-in demand charges before they are imposed on all homes and small businesses. SWEEP supports making greater use of time-of-use energy (kWh) rates for residential customers. Typically, a utility will offer low rates for off-peak nighttime electricity consumption, and higher rates for on-peak consumption during summer afternoons, and moderate rates for the shoulder periods. This type of rate provides incentives for greater energy efficiency as well as reducing electricity usage during the peak period. It is also easier for customers to understand and respond to this type of charge than to a mandatory peak demand charge. Experience shows that time-of-use energy rates can be an effective strategy for reducing utility system peak demand, especially if the peak to off-peak price differential is relatively high (a factor of four or more) and consumers are offered devices such as smart thermostats or home energy management systems that help them reduce electricity use during the peak period. SWEEP also supports full revenue decoupling-the policy of ensuring that a utility receives its approved base revenue per customer, and no more or no less, independent of the level of electricity consumption by residential and small business customers. This policy better aligns the interests of the utility with the interests of the customers. Decoupling ensures that utilities obtain the revenue per customer authorized by their utility commission, without all the harmful effects of jacking up monthly fixed charges or adopting mandatory peak demand charges. Revenue decoupling was proposed recently by Public Service Company of New Mexico, and we expect it will be proposed soon by other electric utilities in our region. We urge regulators to approve decoupling and reject harmful rate designs such as high monthly fixed charges and mandatory peak demand charges for homes and small businesses. Click here for SWEEP's testimony in the UNS Electric rate case in Arizona.